Our classrooms are found in places like Riley’s Children’s Hospital, the Mayo Clinic, India, Honduras, and Kenya. Our professors in the School of Nursing & Kinesiology are also researchers, practitioners, and community leaders with a calling to prepare, teach, and nurture the next generation of social and medical scientists. But as our students know, it’s not just about the science. It’s also about compassion and mercy. The School of Nursing and Kinesiology shares the Anderson University mission of educating students for lives of faith and service in the church and society. Our alumni carry this mission out into the world with integrity and compassion. Students in the School of Nursing and Kinesiology begin to develop the skills of their profession well before they graduate through practicums and internships. The faculty in the nursing department believe cross-cultural interaction is vital to our students, so before they graduate, our nursing students travel abroad or to culturally diverse sections of the United States to provide care to people in those areas. Exercise science students develop skills in exercise testing, prescription, and programming to develop training programs to help people of all ages and fitness levels. Meanwhile, athletic training students are the caregivers for the Raven athletic teams. Students in physical education teaching or sports and recreational leadership work with youth and adults to provide experiences in sport, physical activity, and recreation. Working in the fields of nursing and kinesiology requires faith that what is being done is making a difference, either now or in the future, and it requires a heart for service. It is our blessing as faculty to walk with, listen to, pray for, and encourage each Anderson University student as they begin to travel this road. Organization Mission: The mission of the Honor Society of Nursing, Sigma Theta Tau International, is to support the learning, knowledge, and professional development of nurses committed to making a difference in health worldwide. More than 405,000 members have been inducted worldwide. Forty-six percent of active members hold master’s and/or doctoral degrees; 26 percent are staff nurse/clinicians; 21 percent are nurse practitioners, nurse midwives, nurse anesthetists, or clinical specialists; 18 percent are administrators or supervisors; and 22 percent are educators or researchers. There are 469 chapters on college campuses in Australia, Botswana, Brazil, Canada, Columbia, Ghana, Hong Kong, Japan, Kenya, Malawi, Mexico, the Netherlands, Pakistan, Singapore, South Africa, South Korea, Swaziland, Sweden, Tanzania, Wales, the United Kingdom, and the United States. RN at Henry County Hospital, New Castle, Ind. Students in the Anderson University School of Nursing program participate in a two-week intercultural experience, complete community projects, learn with the best technology in the classroom, and receive additional experience through internships. In 2009, the Center for Nursing Excellence was established and a SimMan®3G was purchased. SimMan® 3G is an advanced patient simulator that can display neurological symptoms as well as physiological. It is simple to operate and features innovative technology such as automatic drug recognition. SimMan®3G was purchased in partnership with St. Vincent Regional Hospital Anderson, Indiana. Additionally, in 2009, Community Hospital Anderson, Indiana donated the funds for a PYXIS® to be housed in the lab. The PYXIS MedStation® is an automated medication dispensing system that supports decentralized medication management with various features for safety and efficiency. These partnerships have facilitated the construction of a simulation laboratory that is used by both students and hospital staff. Sim Baby® and Sim Child® also are utilized in the lab by students. These advanced life support manikins provide realistic training and assist with teaching a wide variety of advanced lifesaving skills for pre-hospital emergencies from advanced airway scenarios to IV therapy. In 2012, Mega Code Kelly® – another advanced life support manikin – was purchased in partnership with both area hospitals. Students also can interact with “Noelle®,” as she gives birth to her mannequin son or daughter. Our state-of-the-art computer lab, the largest on campus, offers students use of a variety of healthcare simulations. All testing is completed in the computer lab in preparation for the NCLEX (National Council Licensure Examination) following graduation. St.Vincent Anderson Regional Hospital Center for Clinical Excellence and its SimMan® fortify an already strong nursing program at Anderson University. 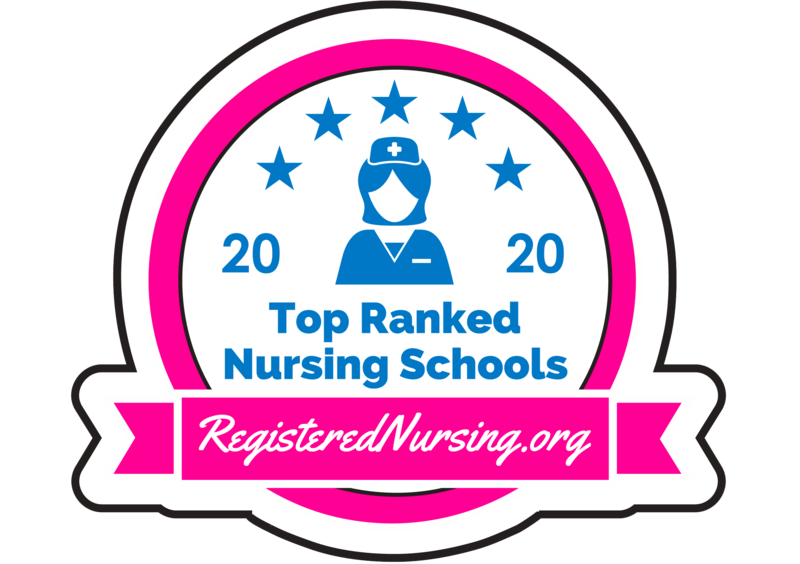 The School of Nursing at Anderson University is unique from other nursing programs, because it integrates a Christian perspective into its programs and the relationships among students, faculty, and staff. Small class sizes allow students to have individualized instruction while in the clinical settings — a necessary component for developing a strong clinical practitioner. SimMan® is a portable, advanced patient simulator for training in teaching facilities. SimMan® has realistic anatomy and clinical functionality, providing highly realistic patient simulation training experiences for the practice of medical teamwork, leadership, and communication skills. SimMan® provides simulation-based education to challenge and test students’ clinical and decision-making skills during realistic patient care scenarios. When using SimMan® in the clinical classroom, faculty may use one of the mannequin’s many preprogrammed case studies or they can create their own scenario. SimMan® features a patented airway system that allows for accurate simulation of all relevant and difficult airway management scenarios. The bronchial tree is anatomically accurate in size, color, and texture and features the accurate anatomical landmarks necessary to facilitate realistic fiberoptic bronchoscopy. SimMan® can also simulate bleeding at multiple sites. Faculty can take advantage of preprogrammed pharmacological responses for more than 108 drugs. No matter what the scenario, the simulator provides immediate, detailed feedback on performance to learners. Nursing students benefit from the latest technology to improve patient care. Though the Pyxis® MedStation® System is found in hospitals across the country, it is rare to find such a system in a nursing school. Thanks to a generous donation by Community Hospital in Anderson, the School of Nursing, Kinesiology, and Behavioral Sciences at Anderson University is one of only a few nursing schools in the state of Indiana to feature a Pyxis® MedStation® System in its campus lab. As students at Anderson University prepare to enter the field of nursing, it is important for them to be knowledgeable about the latest technology used in the hospitals where they will one day be working. The new Pyxis® MedStation® System provides students with the latest in medication management technology, making them more marketable as graduates and ensuring the safety of the patients. The Pyxis® MedStation® System provides valuable data on each patient that allows nursing professionals to take a step forward in making decisions to improve the quality of patient care, to prevent possible diversion, and to control costs. The traditional path that medication takes from the pharmaceutical distribution center to the pharmacy to the patient can be error-prone and inefficient, potentially delaying therapies, increasing risks, driving up costs, and complicating efforts to meet regulatory requirements. The Pyxis® MedStation® System works with the electronic charting systems used by hospitals. Once admitted, all of a patient’s information is entered into an electronic chart. If at any time during the patient’s stay the doctor adds, deletes, or adjusts a patient’s medication, that information is entered into the electronic chart. Data from the electronic chart is sent to the hospital pharmacy, where the pharmacist enters the medication information into the Pyxis® MedStation® System, which is both a computer and medication dispenser. When entering the patient’s name, the nurse sees the list of the patient’s medications as well as the time the patient is to take each medication. When it is time for a medication, the nurse selects the appropriate entry on the screen and the drawer with the prepackaged dose of medication pops open.